Santa ABC Cross Stitch sampler, mini pattern on a 4-1/2" x 2-1/2" card by The Prairie Schooler, 1997. Patterns were designed by Pamela Byrd Brunke for The Prairie Schooler. 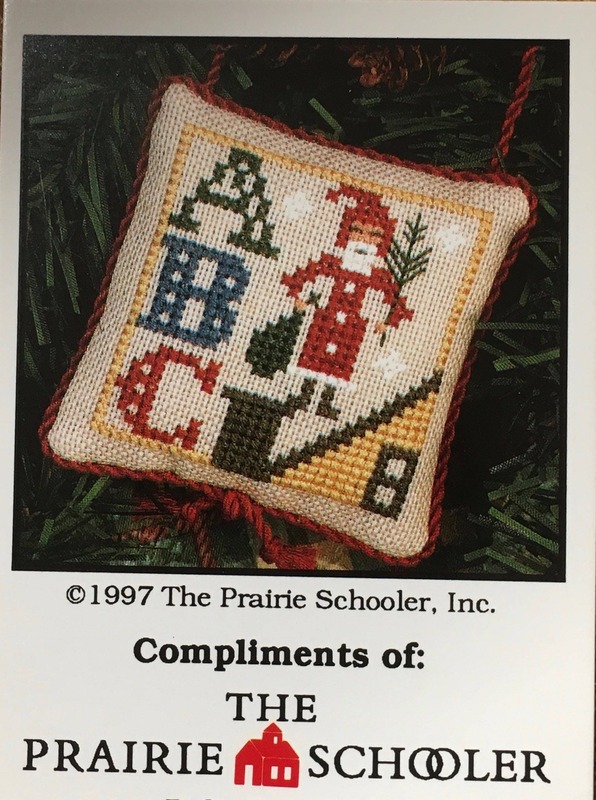 The Prairie Schooler, Prairie Village, Kansas, USA, was one of the needlework industries leading designers of counted cross stitch and counted needlepoint patterns and designs since 1984. After nearly 33 years in business they retired and closed at the end of 2015.